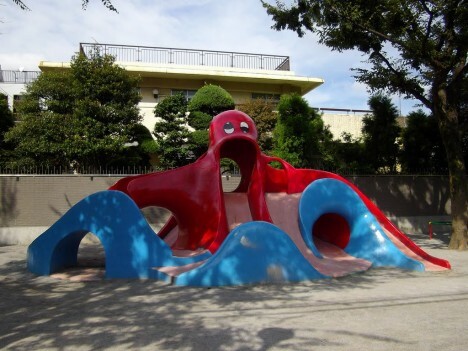 Weird anthropomorphic, gaudily painted concrete octopus slides lurk within hundreds of Japanese playgrounds, silently traumatizing generations of kids. 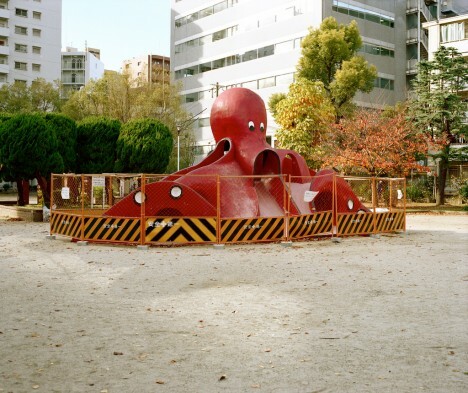 These playground octopi climbing frame/slide installations are so common and have been around for so long, it’s really no surprise Japanese parents are nonplussed by their ominous presence – doubtless they played on the very same structures when they were kids. 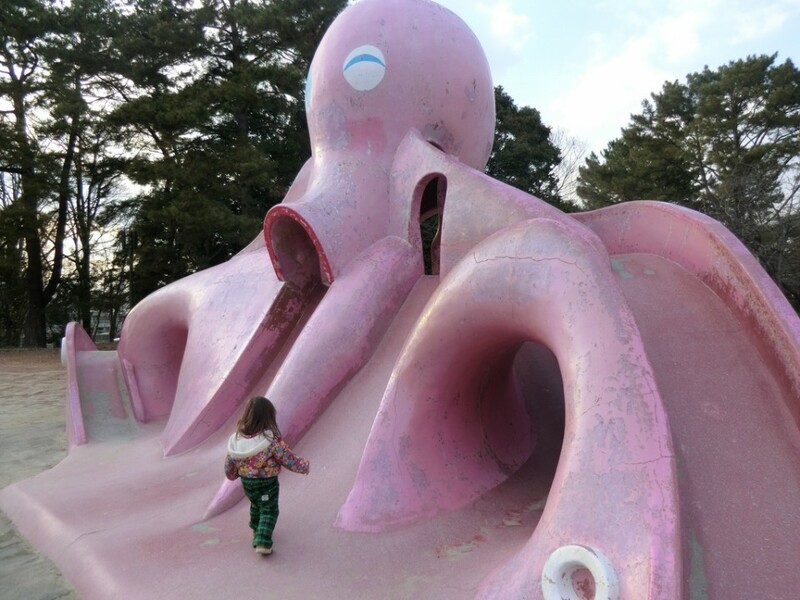 Visibly showing its age, the pastel pink cephalopod playground set above can be found at Hattori Ryokuchi Park in northern Osaka. 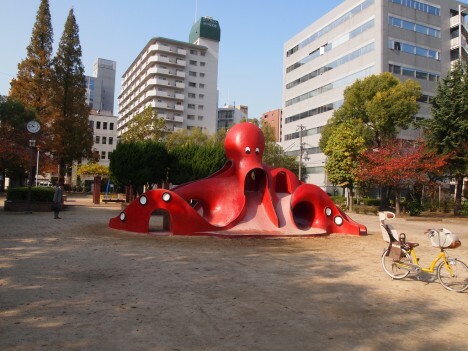 It was visited by Akira Nakajima in 2009, David Kawabata (sleepytako) in 2013, and Trout Monroe (troutfactory) on January 1st of 2015. 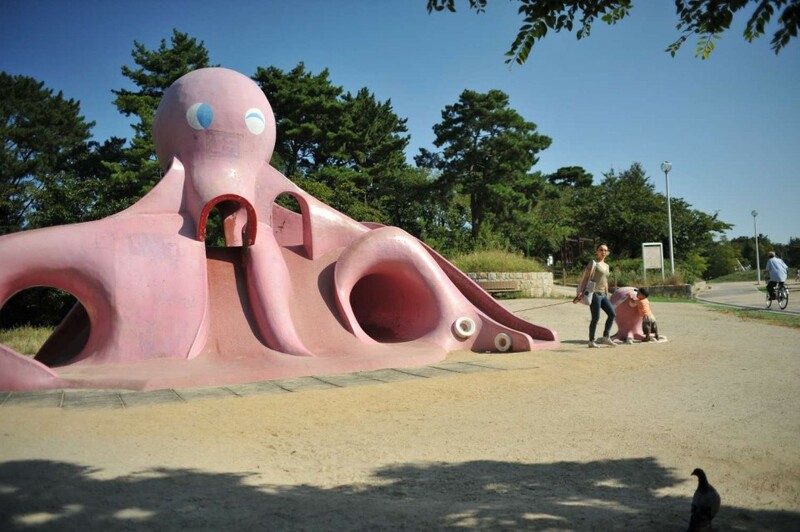 Nestled into a small playground in the Kitasenju neighborhood of Tokyo’s crowded Adachi ward, this unusually two-toned octopus slide and the manicured grounds surrounding it are pristine enough to be a zen garden… for kids. 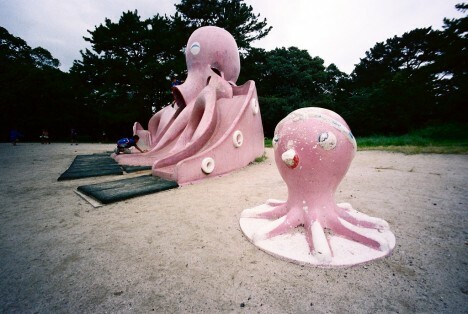 One wonders if children are even allowed to climb on it. 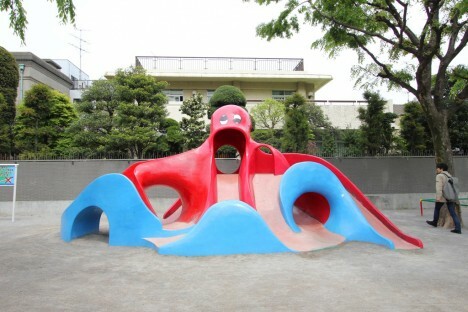 Unlike many American playgrounds whose old lawsuit-encouraging equipment continues to be updated in the interest of safety, Japan’s vintage octopus slides are, were and will always be perfectly safe… not to mention easy to maintain. Take the venerable installation above, which needed nothing but a new coat of paint to make it good as new. 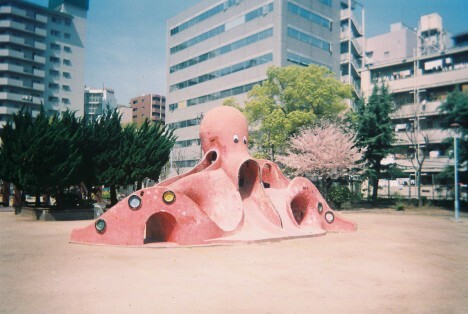 Once sun-bleached as pink as a beached conch in Flickr user sallyhancox’s 2009 photo, it blazes fire engine red in her image snapped two and a half years later.